ENJOY THIS UNIQUE SPORT as you team up with other players for fun filled games. 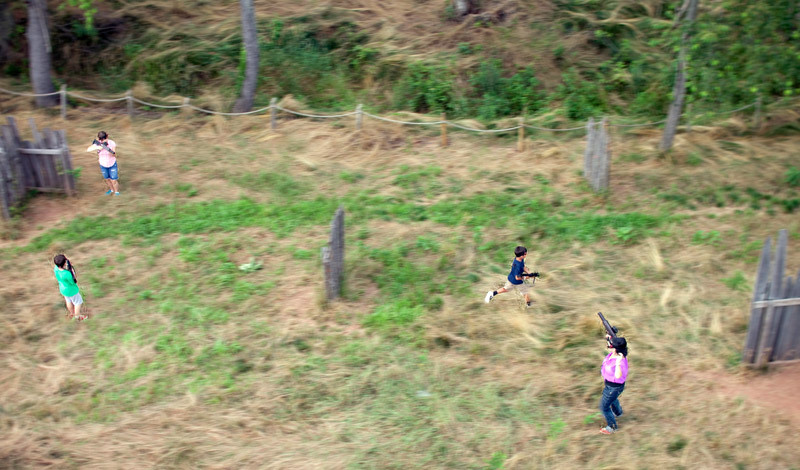 Outdoor Laser Tag is played on a 3-acre field with uneven terrain. Great for Birthday parties, group outings, team building, and family reunions. Call for off season sessions and rates. Closed toe shoes are required. Long pants are recommended. Shoe and sock rental available. 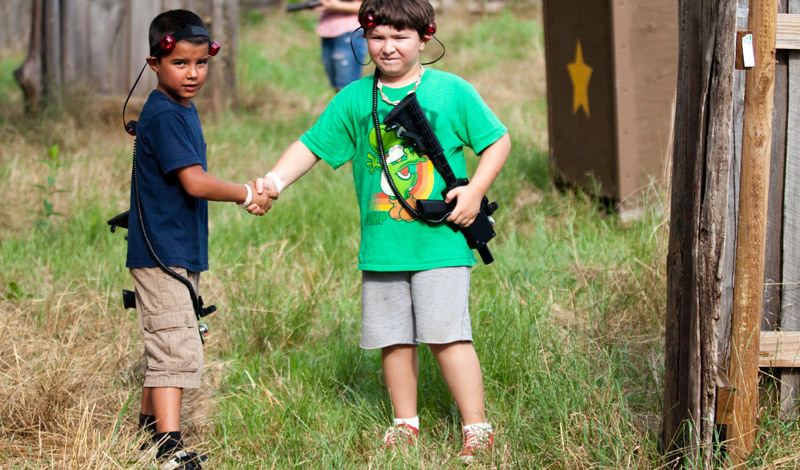 Download the complete Laser Tag Field Rules.